Iron ore imports by the country is projected to touch 15 million tonnes (mt) by the close of this fiscal, 60 per cent higher than 8.7 mt imported in FY18, as per the forecasts of the Pellet Manufacturers Association of India (PMAI). Imports of the key steelmaking ingredient is the highest since 2014-15 when the country imported a record 15 mt as benchmark prices of 62 Fe grade ore tanked to a historic low of $45 a tonne and domestic output had slumped to multi-year low of 129 mt due to mining bans. In the April-September period of this fiscal, steel mills, primarily those concentrated in Karnataka, have already imported 7.97 mt valued at $471.2 million, marking 90 per cent of the entire volume imported in FY18. Imports in this period soared 183 per cent over the year-ago period. During July 2018, iron ore imports have peaked at 1.93 mt, the highest monthly record in the past five years. Imports in August and September have slowed to 1.49 mt and 1.05mt respectively, data by the Centre for Monitoring Indian Economy (CMIE) showed. 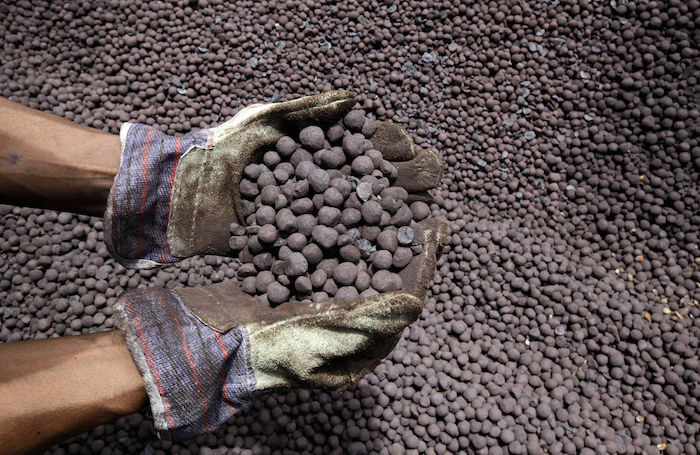 A report by CARE Ratings attributed the mellowing iron ore imports to rupee slump which reduced the spread between landed costs of iron ore and domestic prices, making imported ore less viable for steel makers. The forecast, however, is bullish for iron ore imports through the October-March period buoyed by firm domestic demand for the ore. “The country is importing one mt each month and the same trend is expected to prevail in the balance period of this fiscal. Steel plants in Karnataka are leading acceleration in iron ore imports which could touch 15 mt in this financial year. Also, NMDC, the largest miner suspending operations at its Karnataka mine will fuel imports”, said a PMAI source. In a regulatory filing, NMDC said it had suspended operations of its Donimalai iron ore mine in Karnataka after the local government there decided to levy 80 per cent premium on sales from the mine. Protesting the executive order, NMDC said the imposition of such a condition is not in sync with the Mines and Minerals- Development & Regulation (MMDR) Act, 2015 and wasn’t economically viable. Prices of iron ore differ according to grades in states. Steel plants located on the coast were finding logistics costs steep for ore transported from the hinterland and hence, opted for imports. Firming up of domestic iron ore prices also spurred imports. During April-September, India has already turned a net importer of iron and steel. the country imported iron and steel valued at $5.33 billion, exceeding its exports worth $4.22 billion. This has reversed the trend of the country being a net exporter of iron ore and steel products for the past two consecutive years. In last fiscal, exports of iron and steel were valued at $11.24 billion, overshooting the imports of $10.43 billion. Between 2009-10 and 2017-18, the country’s exports of iron and steel logged CAGR (compounded annual growth rate) of 12.07 per cent, states a report by the Indian Brand Equity Foundation (IBEF), quoting figures sourced from the Ministry of commerce.